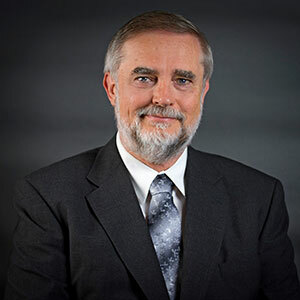 Mr. Rickett was named President and Chief Executive Officer of Kentucky Highlands Investment Corporation in 1989, after previously holding the positions of Vice President and Marketing Manager. The company, a community development corporation which focuses on venture capital and entrepreneurial development, is recognized as one of the premier business development organizations in the United States. Kentucky Highlands Investment Corporation has been designated the Lead Entity of one of three Rural Empowerment Zones, one of eight Rural Tax Credit Community Development Corporations, a partner Community Development Corporation of Rural Local Initiative Support Corporation (LISC), a Community Development Financial Institution (CDFI) and a Community Development Entity by the U.S. Department of Treasury and has received allocations of New Markets Tax Credits. Kentucky Highlands Investment Corporation became the nation’s first nonbank lender under the U.S. Department of Agriculture’s Business & Industry Loan Guaranty program and the first SBA guaranteed lender under the Community Advantage Program. Kentucky Highlands sponsors Entrepreneur Development programs and has developed the Kentucky Highlands Business Innovation and Growth Center. Kentucky Highlands Investment Corporation also co-manages with Tech 2020 of Oak Ridge, Tennessee, the Southern Appalachian Fund, a New Markets Venture Capital Fund as well as Meritus Ventures, the only Rural Business Investment Company approved by U.S. Department of Agriculture and the Small Business Administration. 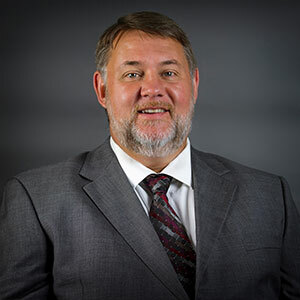 Mr. Rickett has served as the Board Chairman for The Center for Rural Development and continues to serve on the board and executive committee of the Center for Rural Development, and past Chairman of the Kentucky Appalachian Advisory Commission. Mr. Rickett served as a member of the Federal Home Loan Bank of Cincinnati Advisory Committee for six years. He serves on the Advisory Council at Eastern Kentucky University School of Business. Mr. Rickett was appointed to the Tennessee Valley Corridor Board of Directors by Congressman Hal Rogers. In 1996, Mr. Rickett was named the recipient of the first Governor’s Economic Development Leadership Award. In 2005, Mr. Rickett received the Pioneer in Excellence Award and the Mike Sveridorf LISC Leadership Award from the Local Initiative Support Corporation. In 2009, he was inducted into the Kentucky Association for Economic Development Hall of Fame. 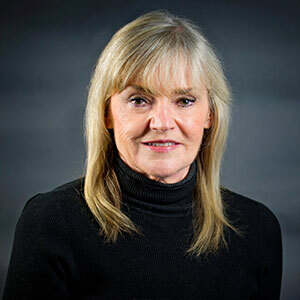 Ms. McDaniel serves as a member of the Rural Local Initiative Support Corporation Advisory Committee and the Stand Up for Rural America Advisory Committee. Under Ms. McDaniel’s financial leadership, Kentucky Highlands has become one of the largest rural community development corporations in the United States. Kentucky Highlands was awarded designation as Lead Entity of a Rural Empowerment Zone–one of only three in the United States. Additional designations include one of the first Community Development Financial Institutions, a tax credit community development corporation, a New Markets Tax Credit Allocatee, a nonbank lender under the United States Department of Agriculture’s (USDA) Business and Industry Loan Guaranty Program, an Small Business Administration (SBA) Community Advantage Lender, SBA Micro Lender and participant in the Goldman Sachs 10,000 Small Business Program. Prior to college and his transition to Kentucky Highlands, Mark worked for 10 years in the private sector in various positions from grocery clerk to underground coal miner. Mark’s work study at Berea College was spent as an Accounts Payable Clerk. Mark spent 1991 as an Economic Development Intern at the Mountain Association for Community Economic Development where he conducted a survey of Woman Owned Businesses in their service area.